SportGuard™ – High gloss with proprietary advanced surface technology provides an incredibly durable that lasts for the life of your warranty. Safety – Response HG surfaces has the patented Lateral Forgiveness™ that provides shock absorbing and prevent fatigue, concussions and injury. 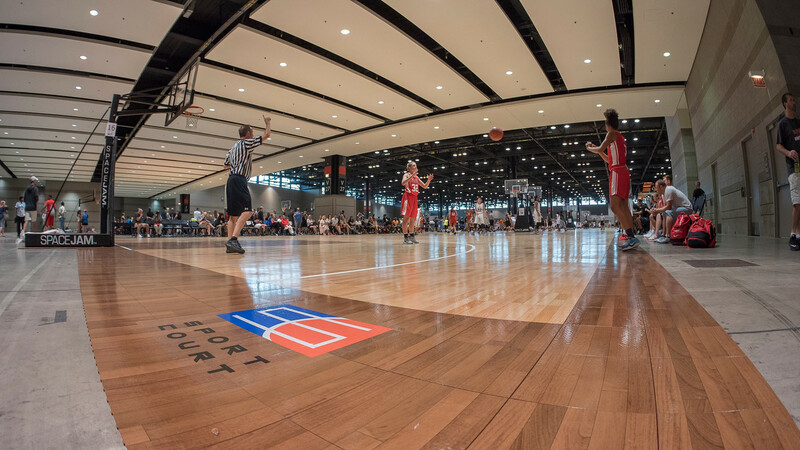 Real Indoor Hardwood Court Look – The Line Response HG called Maple Select™ for an attractive alternative to a hardwood court while retaining the feel of a maple surface. Patented Lateral ForgivenessTM – The Advanced Athletic Technology helps reduce joint stress and fatigue during plays. Low Life-Cycle Cost – The Surface Technology ensures Easy Maintenance & Low Cost on the Indoor Court. Quick Install– The design of the Response™ take three days install. Championship Tested – Our Response™ is already tested widely! 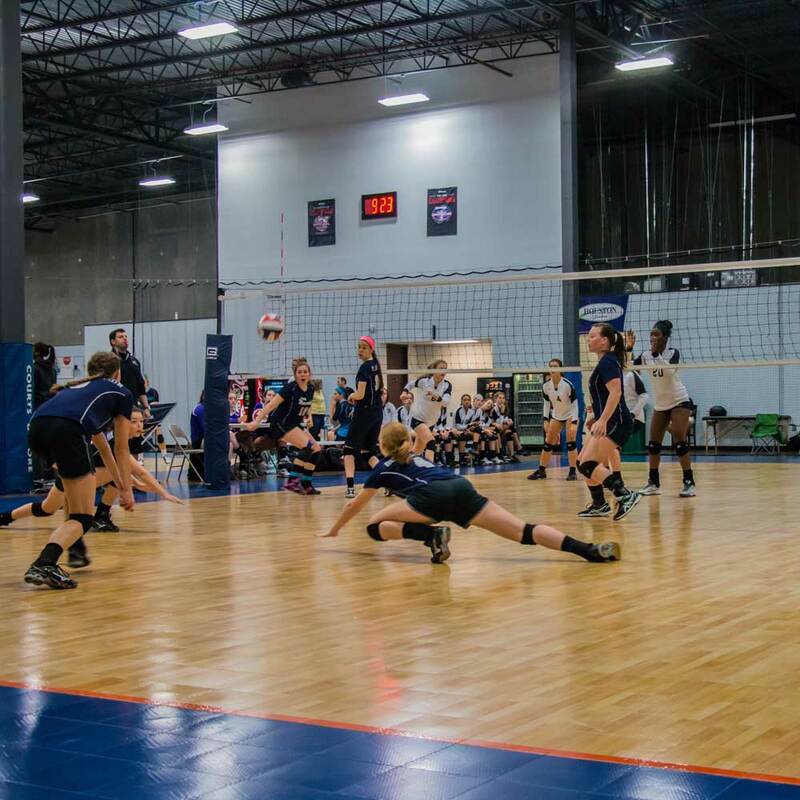 For example, it is the Official Playing surface of the NCAA® USA Volleyball. 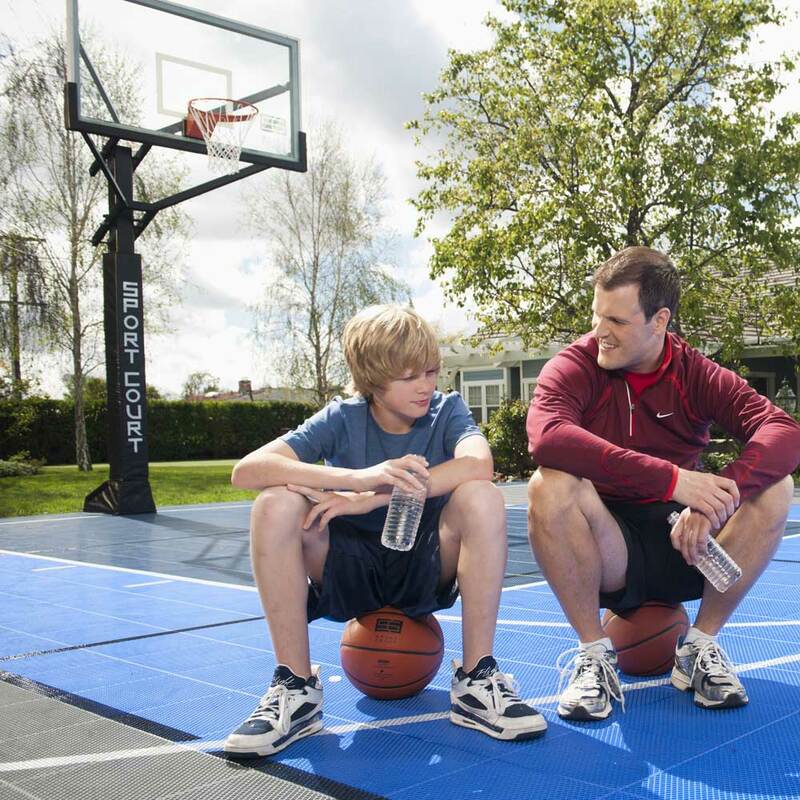 Patented Lateral Forgiveness™ – This helps to reduce joint stress and fatigue, so kids, youth or adults can play longer their sports or activities on this court. 15-year limited warranty –With our long-life warranty and low Maintenance costs, our floors are ideal for heavy use. Our fast install means you can be playing in no time. One of the reasons we are the Best in this Industry. Interested in more depth information or do you have general questions? Don't hesitate to Contact us! Patented Lateral Forgiveness™ – The Advanced Athletic Technology helps reduce joint stress and fatigue during plays. Patented Double-Tier – PowerGame™ delivers shock absorbing grid and the same ball response as a hardwood floor unmatched by the industry. Highest Quality materials – Moisture resistance specialty grid design lets water drain creating long lasting and fast drying sport surface. Also, UB stabilizers to protect your investment. The Lateral Forgiveness™ – This Technology helps to reduce joint stress and fatigue without sacrificing ball bounce and response. 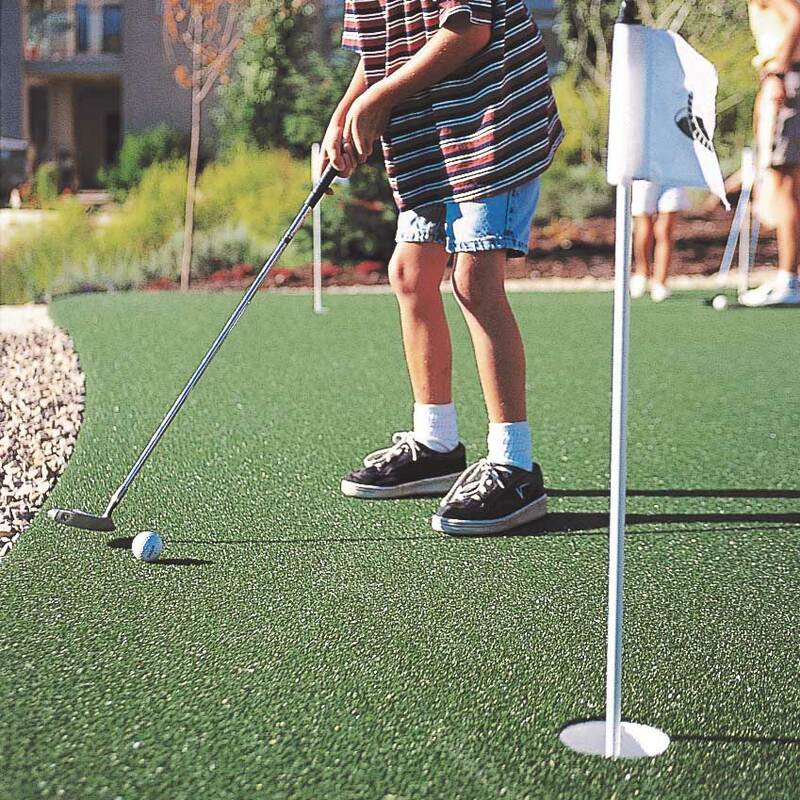 SPORT LAWN – Sport Lawn is ideal for backyard play areas, batting cages, and other recreational events, such as bocce ball courts. Our premiere line of turf products provides outstanding comfort and little to no maintenance. SPIKE TURF – Spike Turf is an made specifically for for batting cages and similar areas This durable, comfortable product feels just like grass, putting your athletes right out on the field. PLAY TURF – Grass is difficult and expensive to maintain. Play Turf is the solution. It means that your elementary school or daycare outdoor play area is safe, natural feeling and doesn’t need expensive upkeep or watering. Designed with a range of sports in mind, the intuitive construction of these nets accommodates all your sports needs. 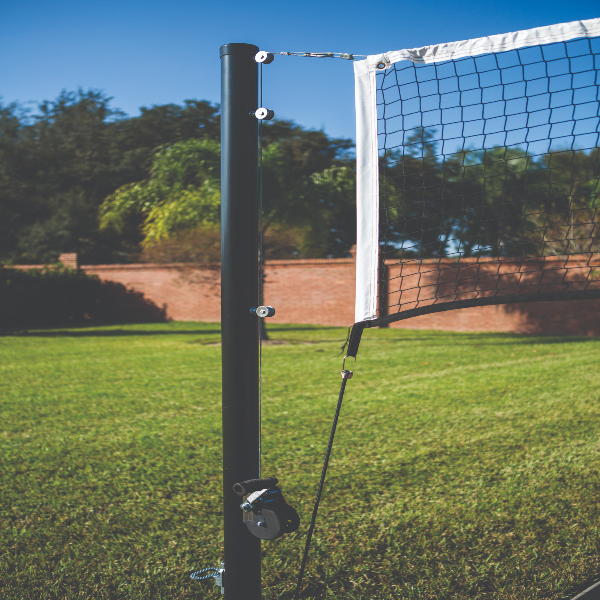 This Multi-purpose Net systems can be used for a variety of sports like Volleyball, Tennis, Pickleball or badminton. All of this in just one Netting system on one Sport Court! Interested in the Net System? Dont hesitate to Contact Us! 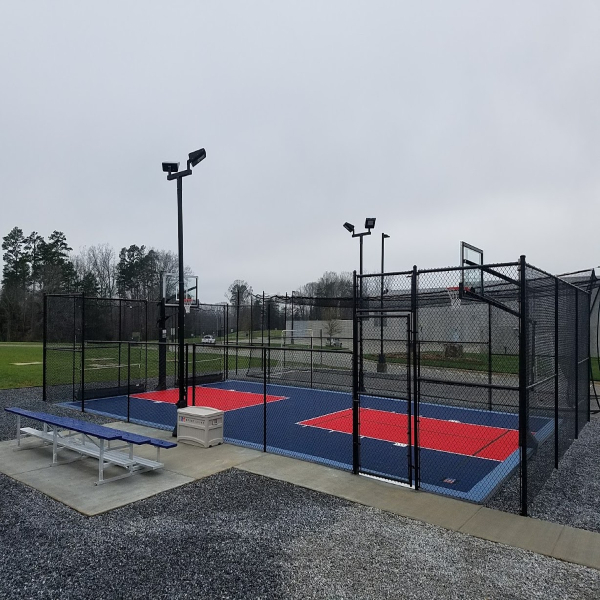 Sport Court Carolina offer one whole lines of Tennis Back Boards. Because the line has different measurements, we are able to find the perfect size Back Board that fits your needs & budget. Technologically Superior Outdoor Materials – The tennis Back Board are made from Fiberglass, Gel Coat and Polyurethane paint. Those materials help for keeping the backboard in top condition with every weather circumstance. Sound-deadening matrix interior – The Tennis Backboard we offer, are created with a sound deadening technology. Numerous styles and sizes – As a customer you can choose between 8’ and 10-foot heights and 12-, 16- and 20-foot standard widths with Custom colors, green, blue or black. Contact us for more in depth information! 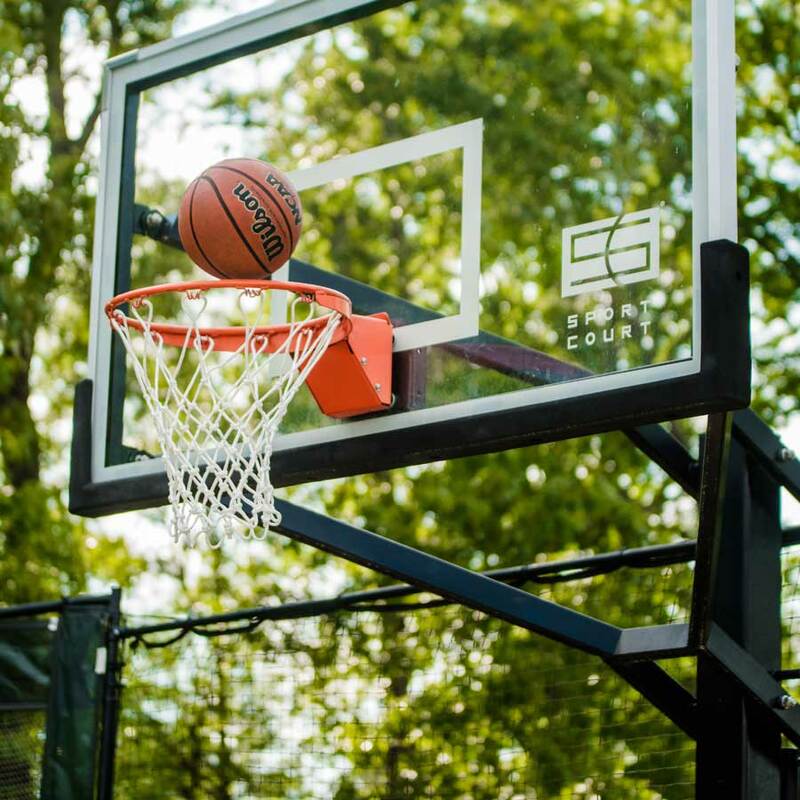 No matter whether you play alone, train to improve your professional skills or just do the sports for fun, you will enjoy the process of playing with this a rebounder net from Sport Court Carolina. 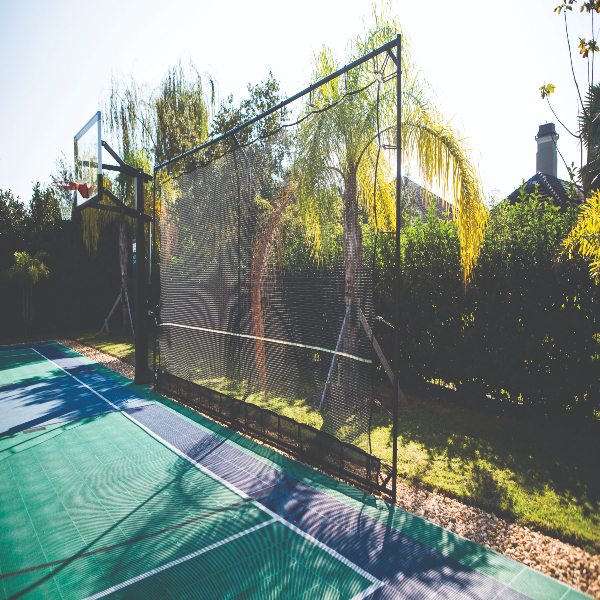 This rebounder netting system can be used for a variety of ball sports. Want to know all the option for this product? Dont hesitate to Contact Us! 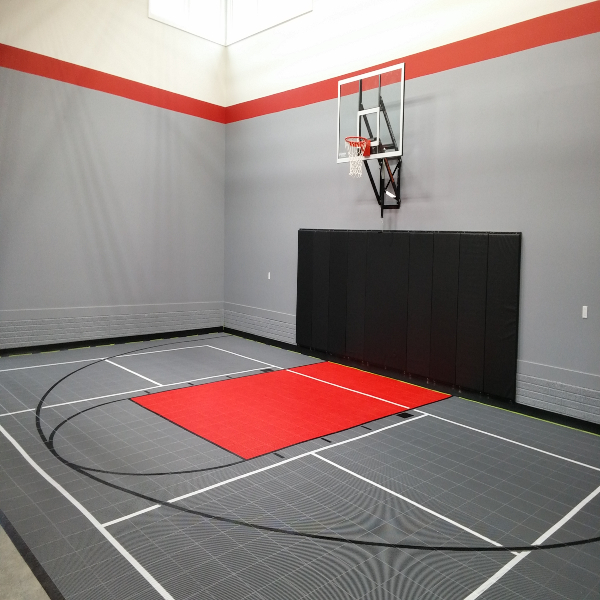 Sport Court Carolina offers Wall Pads that provides safety and fully protection for your athletes and gym walls. Vinyl covered padding for walls offer shock absorption and cushion for players, reducing the physical harm that may happen if an athlete collides with a wall. It's an important safety measure necessary in any athletic facility. 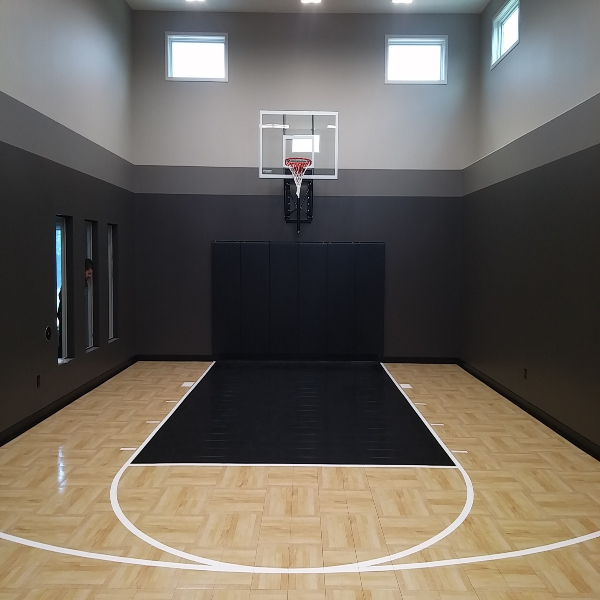 Sport Court Carolina have many wall pad options that fits your needs & budget. 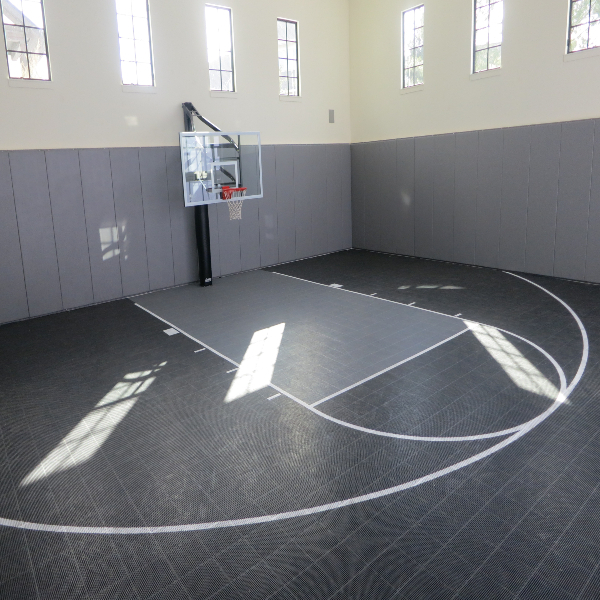 With Our Divider nets systems, you can easy create a barrier between two indoor Sport Courts. 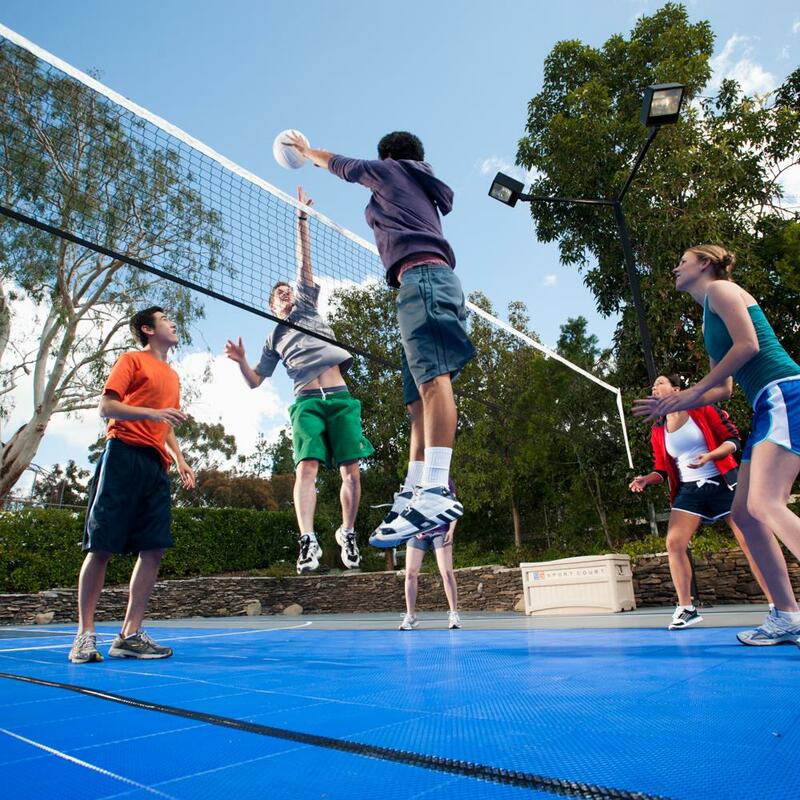 Sport Court Divider netting are custom fabricated to your indoor facility needs & requirements. For more in depth information, feel frere to Contact us!